Honda’s new generation CR-V crossover is spotted once again, but this time it shows its real face. 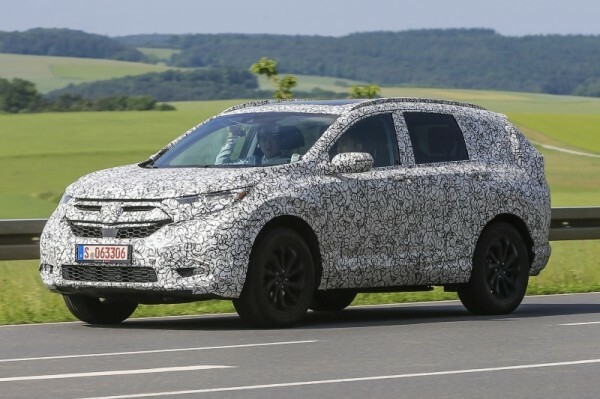 Yes, the prototype you see here is still under the heavy camouflage, but in contrast to previous mules that were using the current generation body, this testing model is actually the production ready 2018 Honda CR-V. The model you see here is getting the longer wheelbase, so it will be able to accommodate up to seven passengers. Like we already announced, the crossover will get the optional third row of seats, so the fifth generation CR-V will likely become one of the interesting vehicle for the larger families. In any case, the new exterior isn’t completely uncovered, but we still see the new details. 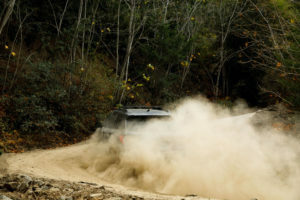 The SUV looks to have a higher ground clearance, while the front end sports a larger grille. As for the lights, both front and rear end will adopt Acura’s new styling, which might be really attractive option. Around back, the 2018 Honda CR-V seems to be more massive and bolder. This refers to the overall design, which features rather evolutionary than revolutionary bodywork. The 2018 CR-V crossover will also get the new platform that will make it lighter, larger and comparative with new engines. Speaking of which, the Japanese carmaker will definitely add several drivetrain options, likely the 1.5-liter i-VTEC Turbo and 1.6-liter i-DTEC turbo diesel engines, as well as a new transmission. In contrast to the standard model, which will use the current gearbox and FWD, the higher trims will get the new nine-speed auto transmission and all-wheel drive option. The new 1.5-liter unit will deliver 174 horsepower, while the new oil-burner should achieve around 120 HP. At the end of the road, you will find the 2018 CR-V version with a 2.0-liter VTEC Turbo mill that produces around 200 ponies. 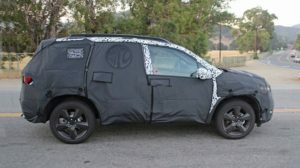 There is still nothing official regarding the release date of the 2018 Honda CR-V, but it is expected to come early next year.